Just came across you video by accident on you tube. Saw this fly and just couldn’t stand it. I had to tie this! I’m from the USA, the great state of Tennessee. My son got me started fly fishing last year. Also started tying my own flies shortly there after. Any way: saw this fly and just knew it would be good for the Brook, Rainbow and Browns we have here on the Clinch River. Cant wait to give it a try. Thanks for sharing this video. I tried this fly out at the river this week and it worked like a charm. I landed a 6lb Rainbow trout in the Saugeen river. This pattern has become easy and I will continue to try as many fly patterns as I can. Dave, thank you a lot for diawl bach SBS! Last week i cougt a 41 cm trout (http://picturepush.com/public/3999591) in a stream, which is only 1-2 meters in width. This is my bigest trout cought on fly. Thank you again for that pattern! You will find flytying does become addictive. The Diawl Bach is a must in every fly box, stillwater and river. I have only ever used the double half hitch……60 plus years now and have never felt the need to change. Hi Dave, briliant vidio on the Diawl Bach ! it is a real “killer” at Farmoor. I have been tying for one year now, and I get as much enjoyment from tying as I do fishing. I still need to pefect the whip finish, and was interested in the knot finish you used in the vidio, which I have not seen completed in this way before. Looking foreward to more of your work. Thanks for your comments. Hope we dont lose you at the net. Keep watching there is more to come. what a very imformative site you have given to newcomers to fly tying you have got me hooked !!! Thanks for your comments. Glad that you have broken the ice and tied your first fly. Beware it can become addictive. The secret is to keep it simple. The easiest fly of the lot is the buzzer in black. red or olive in various sizes. my other two favourites are pheasant tail nymph and Hare ear with gold head. All simple and effective. Thank you very much for excellent instructions. I have started fishing just year ago, but always dreaming about it. You made a part of my dream came through because I made my the first fly. I cannot wait until fishing season starts to try the flies and hopefully I can catch some trout on it. Thanks for your comments on our website. You have picked a good fly to get started. It is a standard for stillwaters and rivers and easy to tie. 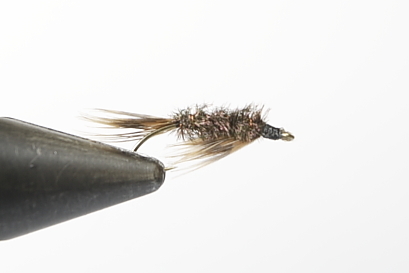 We have tried to cover most of the basic techniques to get started tying flies. You must realise it can become addictive.You will soon find your eyes wandering everywhere for feathers,furs and other materials. You will get used to the funny looks you get at the haberdashery. Thankyou very much for taking the time to set up this fantastic resource. I tried fly tying ten years ago but gave up and have bought my flies ever since. With the help of this video i have just tied my first diawl bach. Once again, many thanks for investing so much time and effort to produce such a brilliant website, an example to us all. So happy that you liked the vids. The more you tie the easier it gets. You did worry me a little that you have sent for a rod to start fly fishing. If you have not done it before my advice to you would be to have a couple of lessons with a fly casting instructor. He will advise you on choice of line for your rod and teach you more about casting in an hour than you will in a season on your own. Happy Fishing and even more happy fishing. thanks for your e-mail. Nice to hear from someone else who tries to spread the word. I am lucky I have a local trout lake within 4 miles, a day ticket water, which is council owned and currently not well managed, but I do have an excellent club water only 10 miles away. We do catch coarse fish(anything other than trout) on fly but usually by chance rather than design. We do have grayling which give sport all the year round both on fly and bait. There will be more episodes to follow. I truely enjoyed your tying sessions. I have been teaching for about 10 years, and it is as much fun on the backside of the vise as the front. Your technique on tying half hitches was new for me (although I know three other ways to do it). We call your fly the bloody prince(with the red wire.) When fishing local water in Florida, it works well on speckled perch, the closest trout being a shade under 500 miles. I hope to do a few videos for my students to take home, and have been inspired by yours. Thanks for the good work! Hi Dave I have watched all of your videos and I have to say a big thankyou from the fly tying community. I to am from the North East of England and run a web site for avid fly tyers and fisher folk. Please take the time to link up with us I’m sure our members would appreciate your hard work. Thanks for your comments, much appreciated. This is our first venture into this field. I usually restrict myself to one to one tuition, all f.o.c. My son is the camera man and he will need to tell you the technical aspects. I only do what I do best! I have not had any experience tying salt walter flies and at this point in time have not got the time to learn new tricks…….it is the fishing season and I must get my priorities right.Talk to me about it in the winter months and we will see if there is anything I can do. Have had a quick run thro the sites you mentioned ……very interesting. Dave.. just viewed lesson 2.. an excellent piece of work..
Would you be interested in tying some salt water flies for UK waters..
What camera setup do you use for doing the video? As someone who learned to tie flies over 30 years ago with clothes pegs for hackle pliers and lambing rings to hold the thread in position your skill is excellent..